According to several findings published in Psychological Medicine – the journal, anxiety disorders and depression are two of the most serious mental issues in the world. 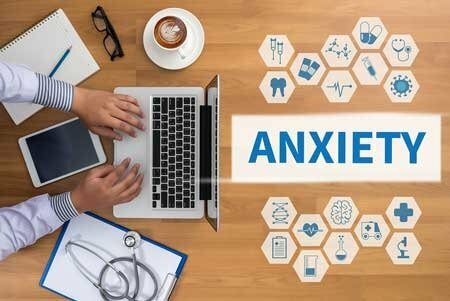 Clinical anxiety is said to have affected around 10% of the people in North America, Western Europe, New Zealand and Australia, about 8% in the Middle East and 6% in Asia. 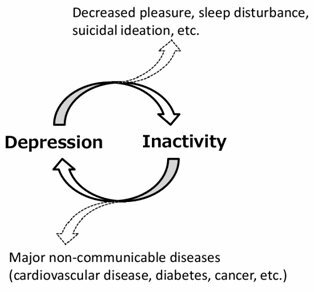 On the other hand, depression was majorly found in Asian countries such as India and Afghanistan forming about 9% of the people and about 4% in America, Australia, New Zealand as well as East Asian countries like China, Indonesia and Thailand. Now even with such serious levels of both these mental disorders, only about one-third of those suffering receive actual treatment. And this could be because of fear of being labelled as a psychiatric patient. The people who do seek treatment are the ones that go to their doctors or therapists and get treated with medicines and sometimes even natural herbal remedies. But there are a lot of people who do not find relief from their disorder in spite of these treatments. For those people and also for those who refrain from seeking any treatment, did you know that you can treat your problem yourself and manage anxiety and depression with equally or perhaps more powerful and effective methods than medicines? That’s right. I’m talking about exercising. So now you know better than to sit at home and sulk, right? It can adversely affect your body and keep you trapped in the one issue that you are badly looking to overcome! Now what can you do about this? Let’s take a look at some of the most effective exercises and workout methods that you, as an affected person can easily incorporate in your daily life to manage and even overcome depression and anxiety! The benefits of Yoga are widely known all over the world. In fact, yoga is often included as a complementary treatment for depression. Its focus on stretching and core strengthening can create healthy movements for your body. More importantly, yoga has a special tremendous focus on breathing which to a large extent helps to calm and soothe the mind. Deep breathing specifically helps to fight anxiety. Hence, with several breathing regulation exercises, yoga can provide great relief from anxiety. Running, apart from providing benefits like burning calories and reducing food cravings, can also improve mental health in a number of ways. It can have a positive impact on the “feel good” neurotransmitters serotonin and norepinephrine which in turn positively affects your brain and puts you in a good mood. It is often called the “runners high”. Moreover, running has been proved to have a meditative effect on the brain due to its repetitive motions. 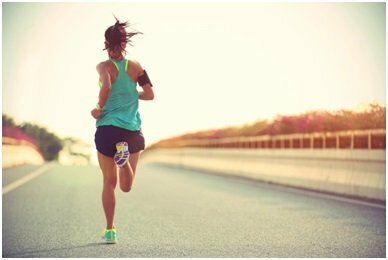 Apart from that running can also help you sleep soundly at night. Connecting with nature can help you a great deal in fighting mental disorders. 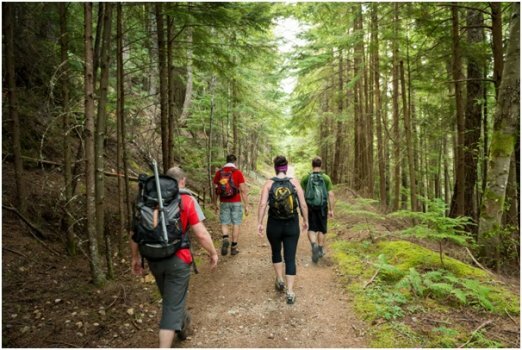 This is why hiking in the woods or through trails can provide both physical and mental health benefits. It has also been proved that being around plants and trees, decaying ones specifically emit certain chemicals that slow down the process of decay which can help reduce anxiety and slow us down as well. Now do you see how effectively you can manage your mental issues yourself? Try these exercises out starting today, and you will definitely see the benefits in no time.